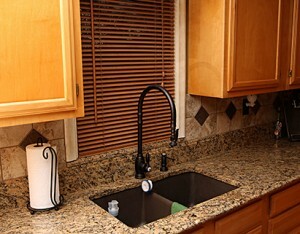 Small Kitchen’s can be made beautiful. 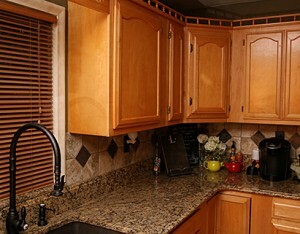 Upgrade a Kitchen adding granite to your current cabinets can enhance the color of the cabinets. 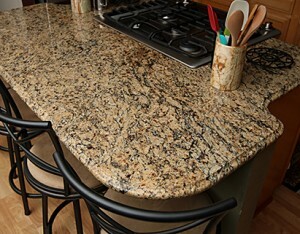 Add an Ogee edge to the counter tops, then add a granite sink and a lifetime warranty Waterstone faucet. 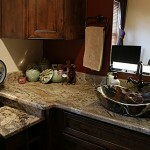 Add some tile back splash with granite back splash and really add some depth to your cabinets. 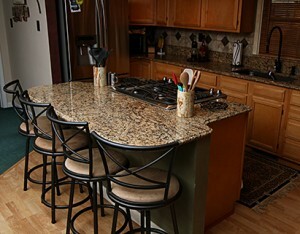 The Island on this originally had a wall in between the stove and the eating area. Which made it cramped and more separate. 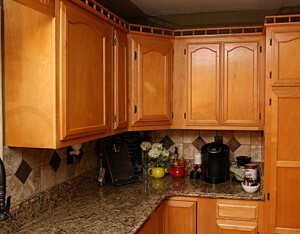 By removing the wall it opened up the kitchen and not only added more counterspace but also, more welcoming. 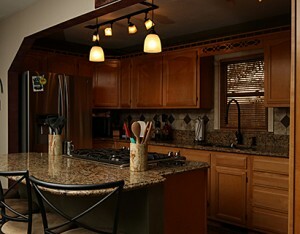 Modify your lighting. 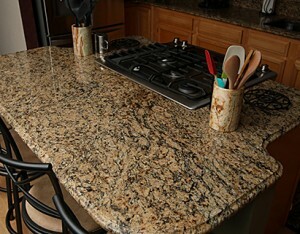 Today with so many lighting options you can create more light and make the color really pop on your granite counter tops. 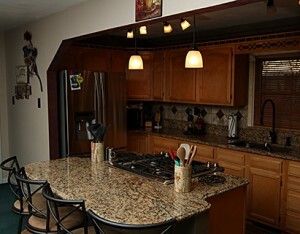 We added the drop lights right over the stove for better lighting while cooking and makes the granite really shine. 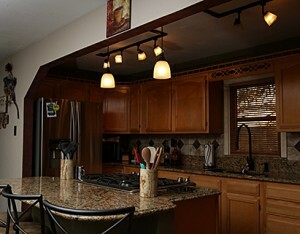 Then we took the old track lighting with large lights and changed them out with smaller track lights. 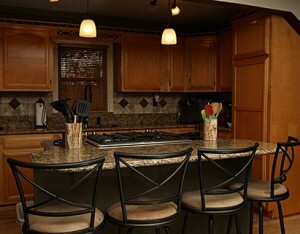 Too finish off the kitchen we added a little color. 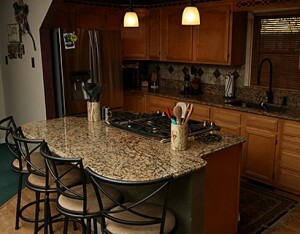 This kitchen we used chalk paint to add some antique finish to tie int the granite; tile and wood finishes.